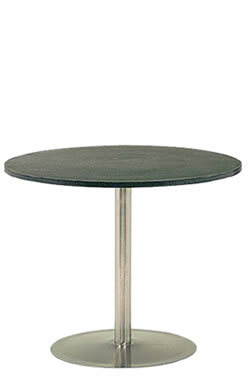 This range of Pedestal Tables feature a shallow stainless steel pressed wine -glass base. Manufactured from the sustainable alloy stainless steel and combined with a Recopol™ recycled engineering grade plastic table top. The range includes coffee tables, general tables and dry bar.